Portrait of a confident irish dancer competing at a major championship. 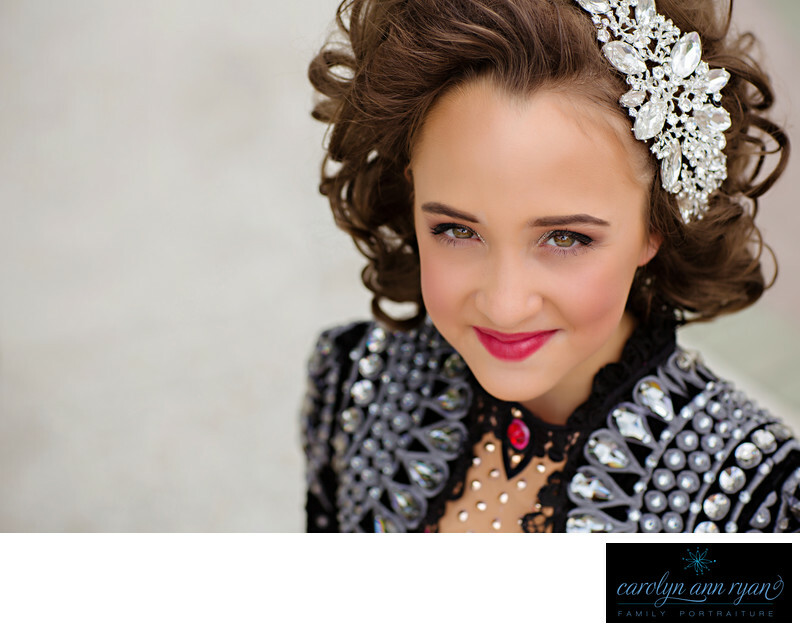 With her beautiful make-up, this dancer's eyes sparkles as much as the bling on her custom Irish dance dress. Keywords: bling (18), dance photography (15), dance portraits (9), feis (27), feiseanna (21), hornpipe (27), Ireland (9), irish dance (39), irish dance dress (27), irish dance fashion (9), irish dance photography (39), irish dance photos (39), irish dance portraits (27), irish dancer (27), jig (9), north american irish dance championships (9), oireachtas (18), pink (57), reel (15), slip jig (21), treble jig (33). 1/1000; f/3.5; ISO 100; 85.0 mm.